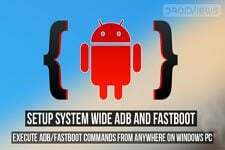 Using 15 Seconds ADB Installer and Minimal ADB and Fastboot Tool, you can setup ADB and Fastboot on Windows computer easily. Download and follow steps described below. Android is an open source platform for mobile devices. The open environment encourages a lot of development activities that bring awesome things in turn. Android allows its user to take control of the system and modified the elements as per their preferences. Since all users of the Android or any community can be a geek by instinct, most of them depend on the hard work done by the developers. By following our guide, you can set up ADB and Fastboot on your computer easily. If you own an Android device, you can gain root access on it, install a custom recovery and try different custom ROMs and mods to get the best possible customization and performance. While such things yield good results in most cases, sometimes they might lead to compromising situations. To make Android development going on, Google provides a bunch of developer options on every device, but save average users from any kind of trouble, it hides those options too. One of the options found under the Developer options is USB Debugging that allows users to read and write data on the device using a computer. In order that your device can communicate properly with a computer machine, we have things like ADB (Android Debug Bridge) and Fastboot that need to set up on your computer. If you an active Android user, you might need to set up ADB and Fastboot before you can flash a system, kernel or recovery image, sideload a flashable zip and do other things using ADB and Fastboot commands. 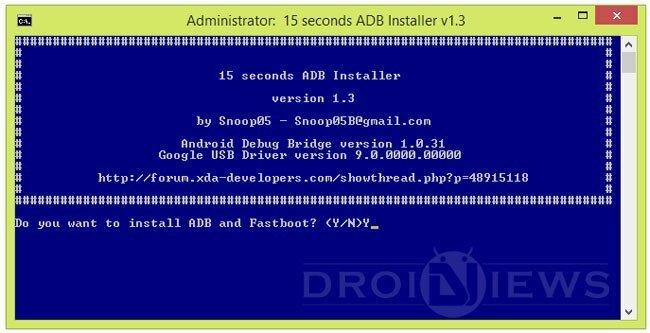 Google provides Android SDK that contains ADB and Fastboot files but many users find setting it up on a computer a bit complicated. Further, it’s really not justified to download a 500MB file just to set up ADB and Fastboot. 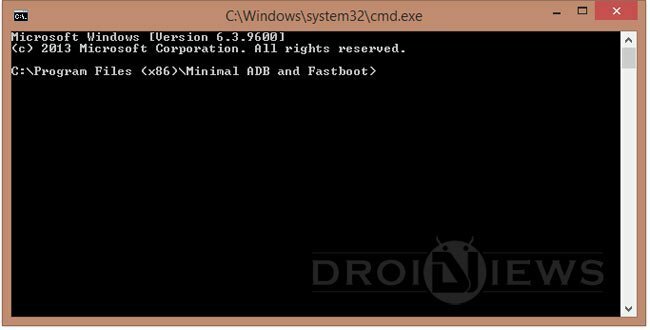 Today, we have come with 2 handy tools that let you set up ADB and Fastboot on a Windows PC very easily in a matter of seconds. 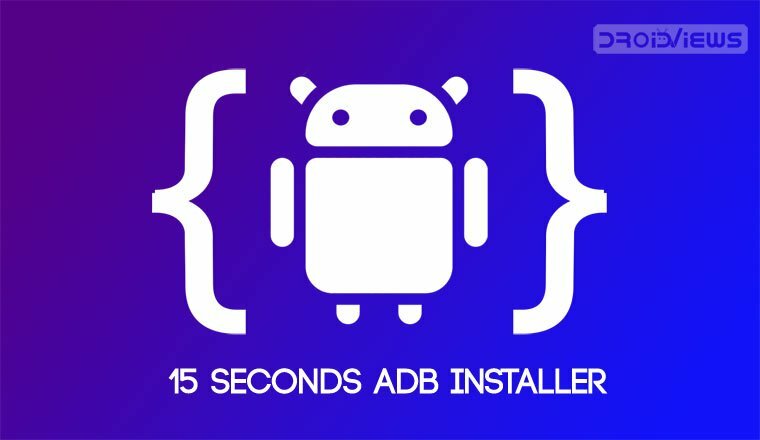 XDA member Snoop05 has released a very handy tool called ’15 seconds ADB Installer’ to make the job very easy. It claims to install ADB, fastboot and USB drivers within 15 seconds. Just download the tool from above and run it on your Windows computer as an administrator. Respond to the on-screen options as per your requirements and you’ll be good to go. Besides 15 seconds ADB Installer, there is yet another easy way to get ADB and Fastboot working without involving into the traditional complicated method. 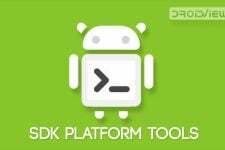 This tool is called Minimal ADB and Fastboot and has been developed by shimp208 from XDA. The tool is very easy to use. All you have to do is to download and install it on your computer and it will set up ADB and fastboot on your computer automatically. Having installed it, you get a shortcut on your desktop for launching Minimal ADB and Fastboot quickly. Suppose you need to copy a .img file together with ADB and fastboot files, go to C:/ Program Files/ adb folder.